What does it take for the prosecution in Arizona to prove that a driver operated a vehicle under the influence? Police officers will carry out a thorough examination and they will also collect evidence during a DUI stop. This evidence will later on be used to prove the impairment of the driver. The prosecution can build its case in a number of ways. It is up to the defense to challenge the evidence or the collection procedure, eventually making it inadmissible. Obviously, the blood alcohol content (BAC) of the driver will have to be established above the legal Arizona limit of 0.08 percent. Thus, a driver that has been pulled over on suspicions of being intoxicated will be asked to do a chemical test. This test can come in the form of a breathalyzer exam, a blood draw or a urine sample examination. Legally speaking, a driver can refuse doing the chemical test. Such a refusal, however, will contribute to an automatic license suspension. In addition, law enforcement professionals will later on get a warrant that will still have the defendant doing the test. Impairment from drugs can be detected via a blood or a urine sample test. The sample will be screened for known substances that can cause impairment in drivers. The test result can be positive even if alcohol or drug use has not taken place. It will be up to the DUI lawyer to challenge the test results. A medical condition or using mouthwash shortly before doing the breathalyzer test, for example, could contribute to a false positive. Problems with the administration and performance of the test could also enable the attorney to challenge the evidence and get it dismissed. By observing he behavior of the driver, an officer may conclude that they are intoxicated. Slurred speech, the smell of alcohol or empty bottles inside the car could prompt a law enforcement professional to ask the driver to do a field sobriety test. This process could be filmed, which will provide additional evidence. Field sobriety tests are standardized. Some of the commonly used tests include the horizontal gaze nystagmus test, walk and turn testing and the one-legged stand. The results of these tests can be affected by medical conditions, fatigue and test. Arizona residents can refuse doing field sobriety tests without suffering legal consequences. While cooperation with law enforcement professionals is important, knowing one’s rights is vital for preventing self-incrimination. Click here for more information on the best ways to challenge a DUI in Arizona. 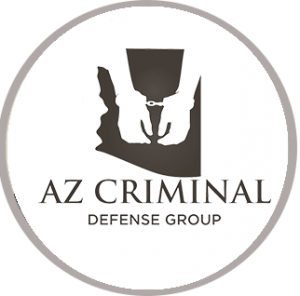 Self-incrimination will also be used as evidence in Arizona DUI cases. Everything you say will be used against you. While you should be polite and cooperative, be careful about answering some of the tricky questions law enforcement professionals will ask during a DUI stop. Your Miranda Rights will be read when you’re detained officially. Before this happens, however, a police officer can ask certain questions. These may focus on where you’re coming from, what you’ve been doing before getting in the car and even if you have been drinking. The things you say before the arrest will be admissible in court and they will be entered in the police report (another form of evidence that will be used by the prosecution). It’s important to know the right answers to common questions asked by the police. If the officer asks if you know why you’ve been pulled over, tell them that you don’t. If you’re asked about whether you’ve been drinking, you can politely refuse to say anything. The same applies to questions about where you’re coming from. All of this evidence will be used to paint a complete picture of your alleged guilt. Thus, the more reserved you are during the stop, the less the prosecution will have to work with. Know your rights and don’t feel intimidated. Being overly-cooperative can lead to much more negative results.